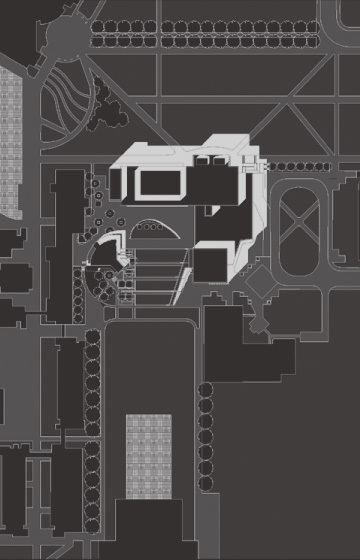 The award-winning Commons bridges a substantial grade change between two important campus spaces: an existing informal quadrangle to the north and a new formal lawn to the south. 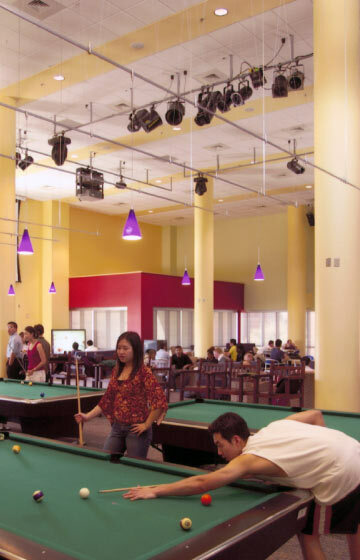 An interior spine links the two, becoming a major campus destination with wireless internet and a mix of lounges, retail, and food services. 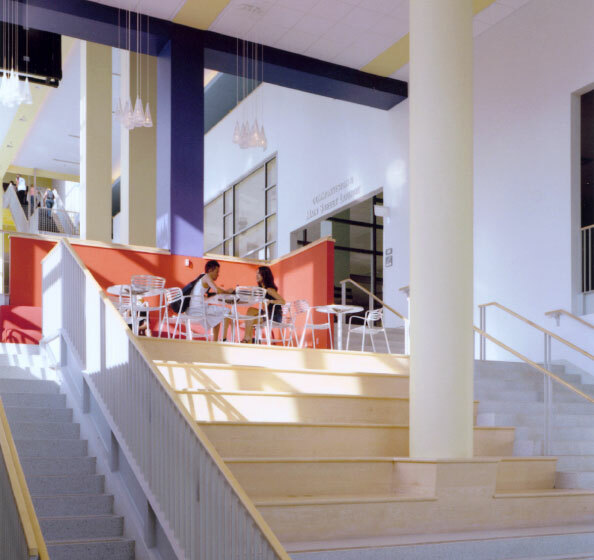 Multiple levels follow existing site conditions and allow students to “see and be seen.” Meeting rooms, offices and storage for administrators and student groups encourage collaboration and interaction within the campus community. 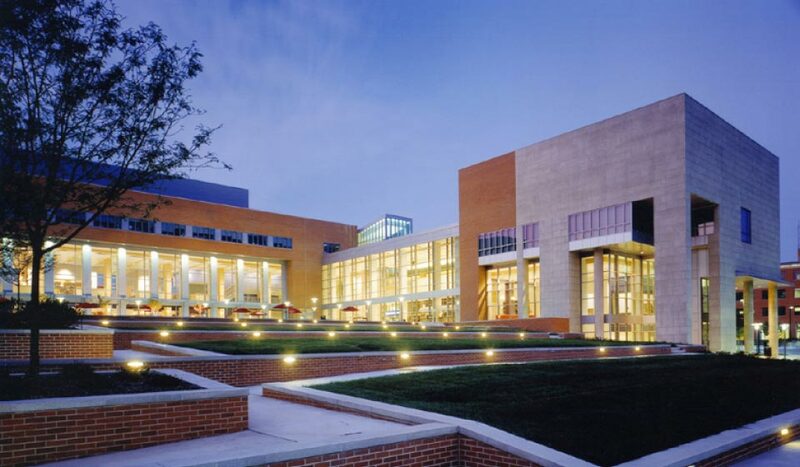 Taking advantage of an open, south-sloping site, the Commons folds around a new green space to allow interior and exterior activities to blur together, greatly expanding the building’s programmable space without increasing its volume, energy loads, or embodied energy. This new south plaza incorporates recycled materials from an existing structure and anticipates a variety of uses with paved and grass terracing. 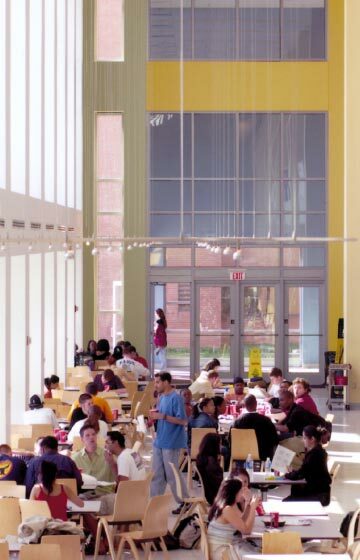 Expansive south-facing glazing combines with smaller punched openings to daylight the building.